call SDI, your Building and Home Performance Specialists. We built our reputation as the experts in traditional and spray foam insulation over the past 30 years. We can design a sustainable envelope that reduces wasted energy and gives you a warm environment. SDI customers no longer have to work with two different vendors for fireplaces and insulation. We now offer a full line of traditional & contemporary, gas, and electric fireplaces to meet every style and heating need. Building performance is a diagnostic measurement of your home’s energy consumption, usage and efficiency. SDI Blower Door, Duct Leakage and Combustion Safety Testing are tools designed to measure the level of safety and efficiency of a building and its systems. SDI understands how to develop custom solutions for a wide range of clients. 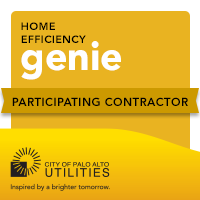 Whether you’re a homeowner, contractor or architect we are the experts in the field of energy efficiency. our SDI consultant, did a wonderful job of inspecting our house and making recommendations. It was occasionally a little confusing with Joe and the SDI office. Hugo and his crew showed up on time and were very efficient.